You can register online, or use this form. The 69th Reunion program will begin on Thursday evening, October 18th. On Friday, October 19th, we will take a bus tour to the Jefferson Barracks National Cemetery and Jefferson Barracks Park and Museums with our memorial service at the Veterans of the Battle of the Bulge monument and the mixer that night. On Saturday, October 20th, our business meeting will convene with educational forums and dinner in the evening. 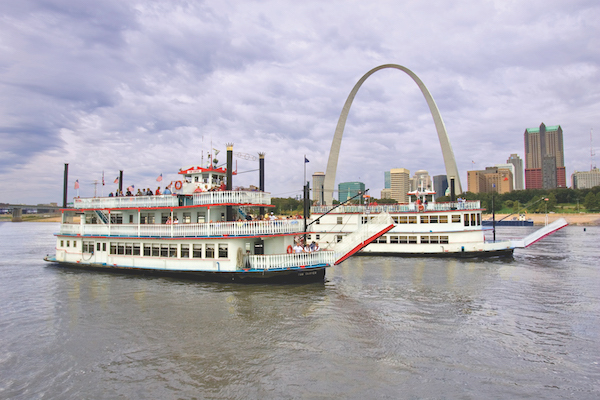 The reunion will be held at the Sheraton Westport Plaza – St. Louis. Hotel provided complimentary airport shuttle is available between 6:00am and 11:00pm daily every half hour automatically with vans holding 14. Complimentary hotel surface lot parking and parking garage are also available. In addition, you will have a $3.00 discount on hotel breakfasts and lunch buffets in the restaurant. Thank you, Tom Hewlett, for planning this year’s reunion!